Emily And Fin 'Tess' retro 1960s Argyle diamond pointelle knit cardigan in dark green. 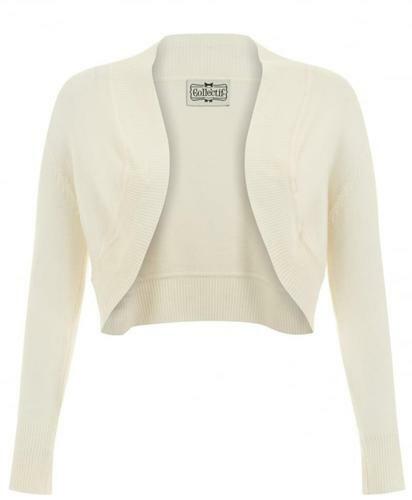 A sophisticated and stylish knitwear piece that blends a cute 1960s mod vibe with a hint of vintage Boho chic. The subtle pointelle knit diamond pattern adds texture to this cardigan and works perfectly with the rounded neckline and neat button placket. 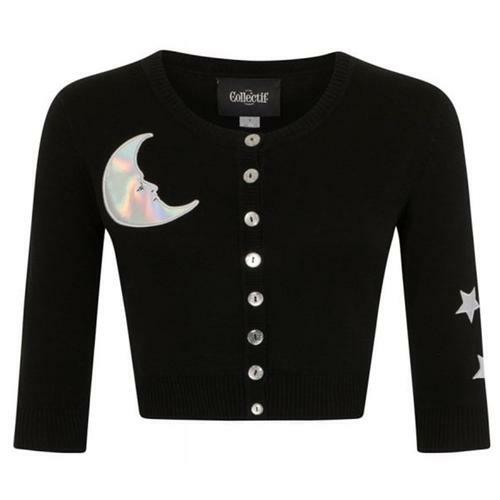 The Emily And Fin 'Tess' pointelle knit cardigan is crafted from a fine gauge soft viscose blend fabric and is finished with fashion stitching to the shoulders. 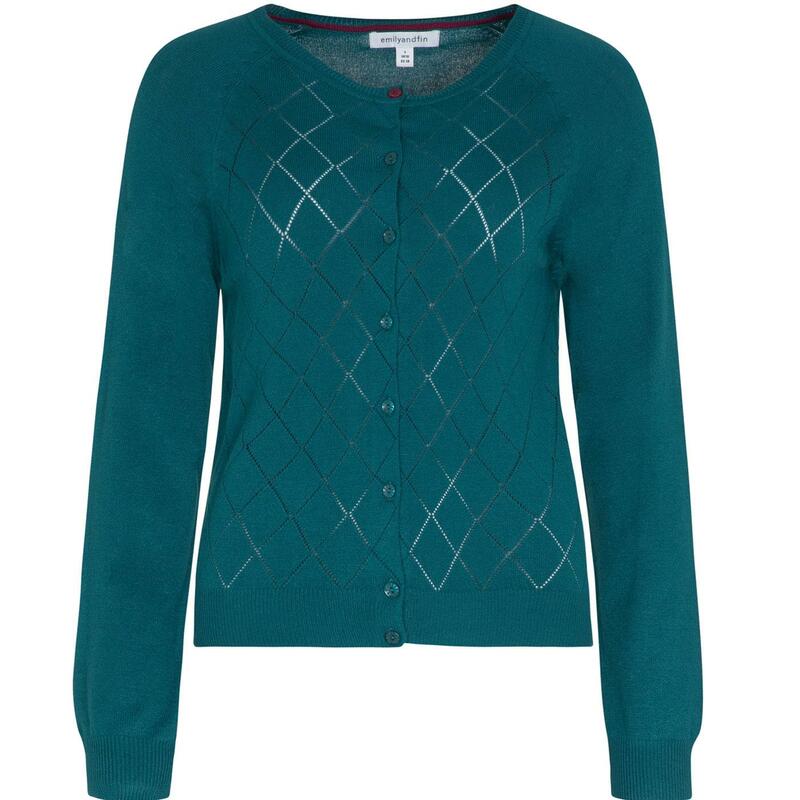 - Emily And Fin 'Tess' women's retro 60s pointelle knit cardigan in dark green. - Diamond Argyle knit pattern. 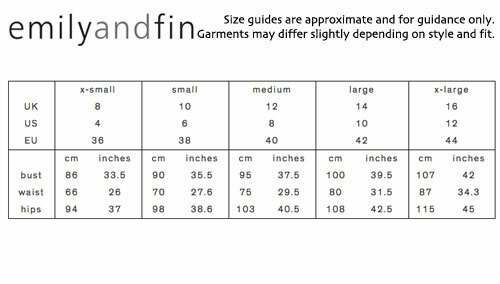 - Fashion stitch to shoulders. 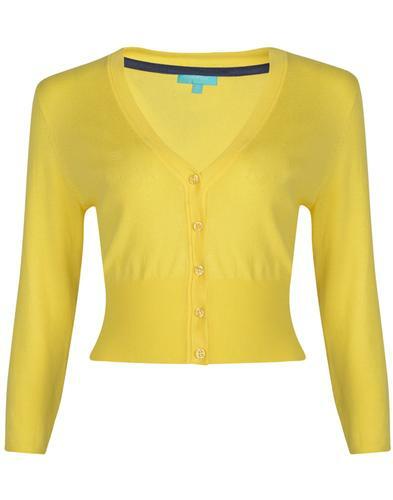 - SKU: Tek-Green Tess Pointelle Cardigan. Care: Gentle machine wash cold. Please refer to garment care label.